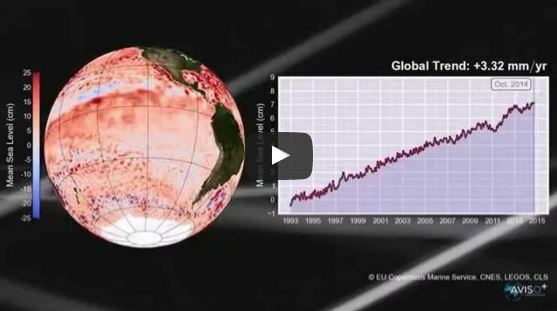 The mean sea level has been constantly rising since 1992: +3.3 mm/ year. Although the climate has now become a hot topic, a key player seems to have been left out: the Ocean! Yet it is the planet’s main carbon pump and has the largest capacity for storing heat. Understanding climate mechanisms primarily means understanding the ocean. The development of satellites for space oceanography and collection of environmental data has been the driving force behind this revolution. From the start, CLS was a pioneer in the field, and receives, processes, and qualifies these satellite data for the entire international community. As world leader in altimetry and the exclusive operator of the ARGOS system for location and collection of environmental data, CLS works daily with experts in climatology. Today, they provide us with their perspective and give us an update on the planet’s health.